I have met people who will say something like ‘oh I’d rather go where I eat for cheaper and be fuller’ or ‘I am not really into all this mede mede and I will rather go to the Buka or Mama Putt’.. sounds familiar? Well then, if you know such people or you are one of such, then this post might be of interest to you. 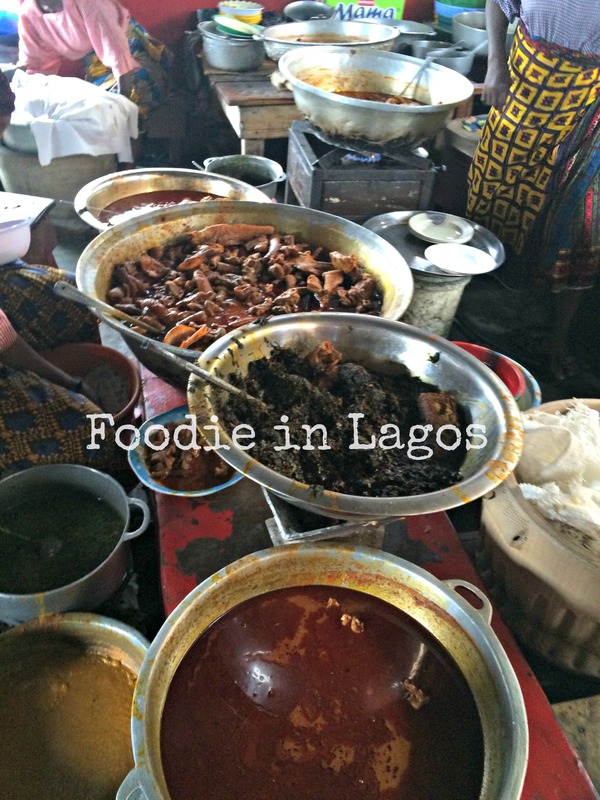 Lagos Island/Marina is gifted with so much food that it is so unfair really to our bodies and work productivity. For a very long time I had been going to this place where I always just refer to as ‘First Bank Amala’ or ‘Coca Cola’ just because it’s across the HQ of the Bank and its also branded heavily by Coca Cola and I was shocked to see that they actually had more than Amala there (lol). I remember not loving Amala so much while growing up and I can not place what changed. Maybe it was the Amala ShittaI had or the Just Amala in Ikeja I had or was it Iya Eba? Yes clearly I have eaten Amala in a lot of different buka’s in the city of Lagos and constantly looking for more spots. Where are my Amala People??? I might just be tempted to do a post on Amala joints in Lagos. 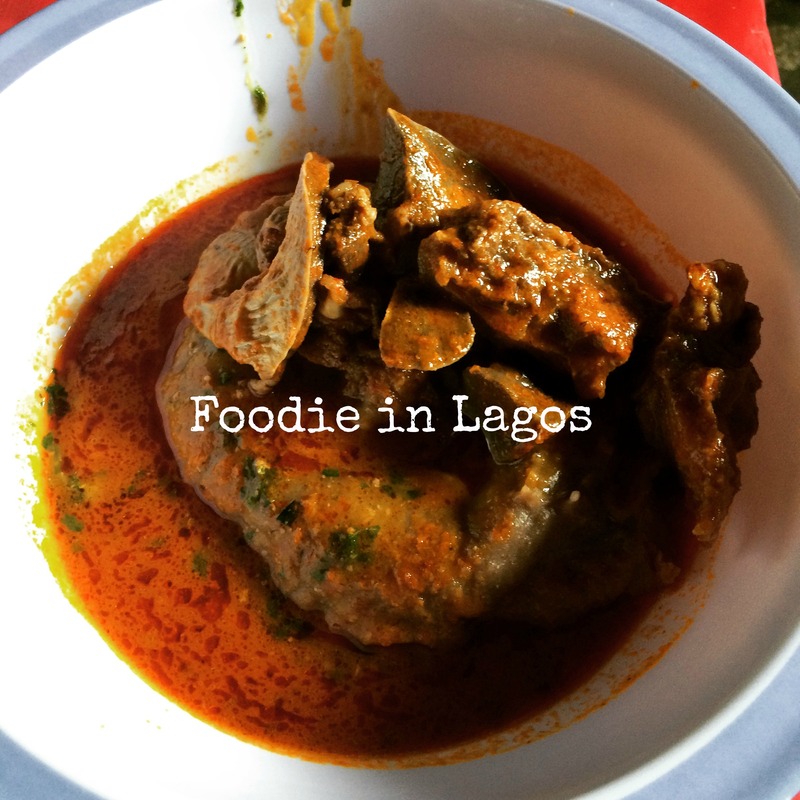 Its so easy to get tired of rice for lunch and Amala was the first thing that came to my mind for lunch and I was inspired to do a post on this as these places are not that bad especially for those who are finicky about the environment for such meals. So First Bank Amala as its fondly called actually has a name which I only just realised – Defence Car Park Canteen. 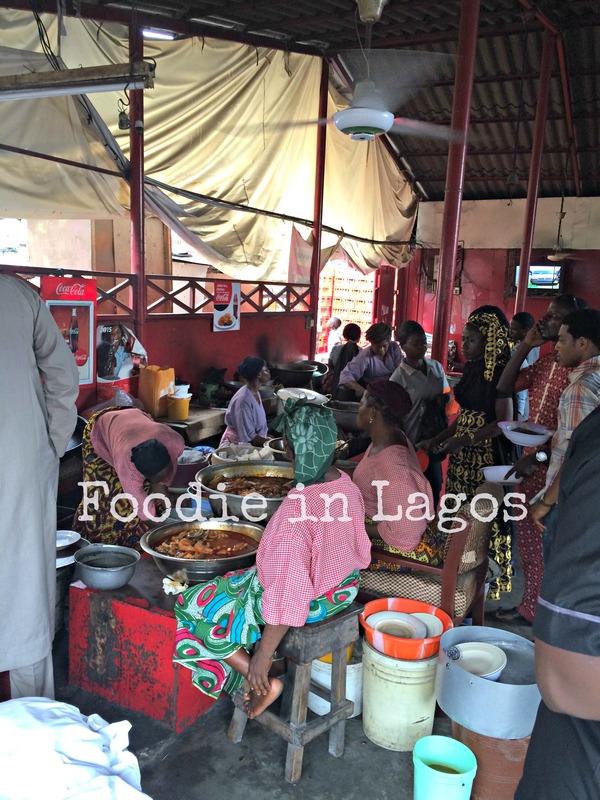 This place is usually busy during the week because its essentially in the business hub of Lagos. The layout is such that those who sell solids are at the entrance, the soups and stews are on another side and those who sell rice are also in another section of the space. My heart usually jumps for joy when I watch as these hardworking women are turning and tossing their hot steaming solids – Amala, Eba, Pounded yam etc and I am like wow, that’s some muscle building right there! I can confidently spend N2,000 a week if I eat here alone and I feel N2,000 is too much for this place but hey… our appetites are different. 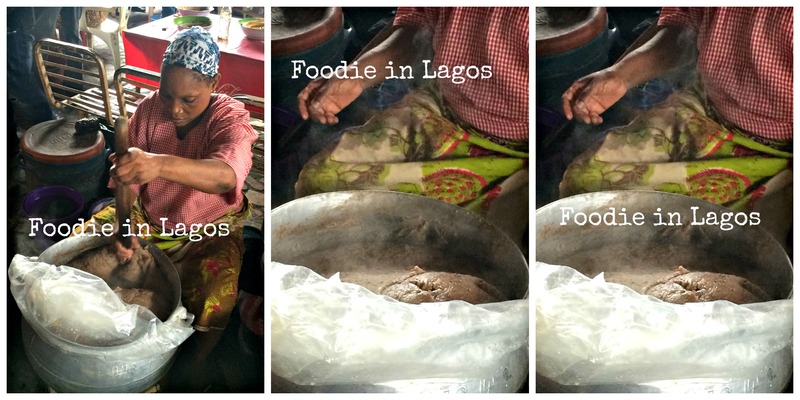 When it comes to Amala, I’m a one-way street – Amala + Gbegiri + Ewedu = TKO! and maybe with some ‘assorted meat’ or goat meat or anything funky really but A+G+E = Abula is a must! Two servings of Amala which costs N50 a serving fills me up and the normal regular sized beef is about N50 each while the assorted meats are in the range of N200 and above depending on what you fancy. The food here is great if this is what you like and they have everything! Its so popular in Marina and you can’t miss it as it is just opposite the big First Bank building. *Shy face* I cleaned my plate nicely as thou shall not waste Abula. To be fair, they actually strive to maintain a clean and healthy environment and the cleaners are constantly making rounds to remove dirty plates and clean the tables. As far as I’m concerned, its pretty decent and even ‘Ajebutters’ can eat here 🙂 It really is one of the cleanest local places I have been to. 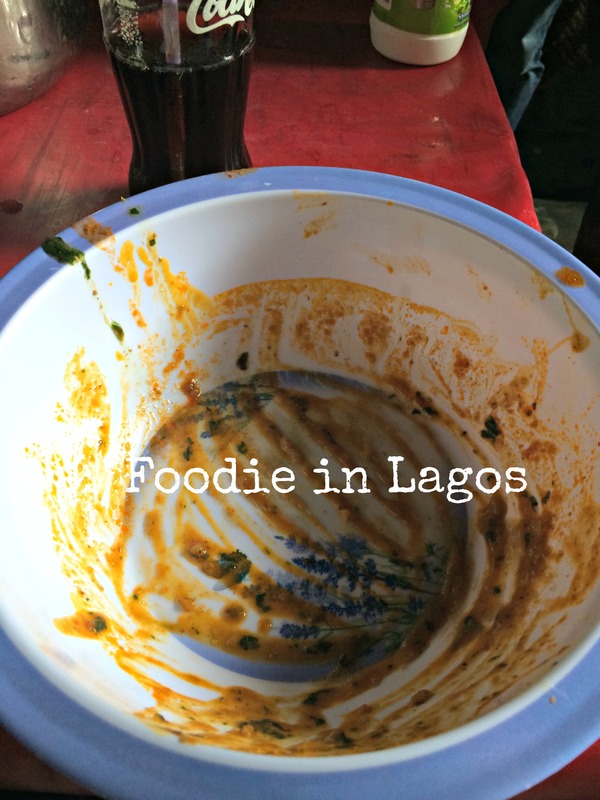 Foodie in Lagos is a food blog birthed as a result of the love and adventure for all things food and constant requests by friends for referrals on good places to eat depending on the occasion. wow..cool. 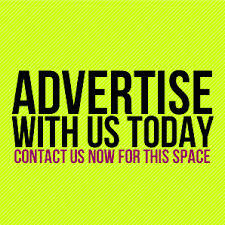 is there a place like this in V.I, particularly adetokunbo ademola/ajose axis? Tired of rice all day long and this place is quite far from my office. 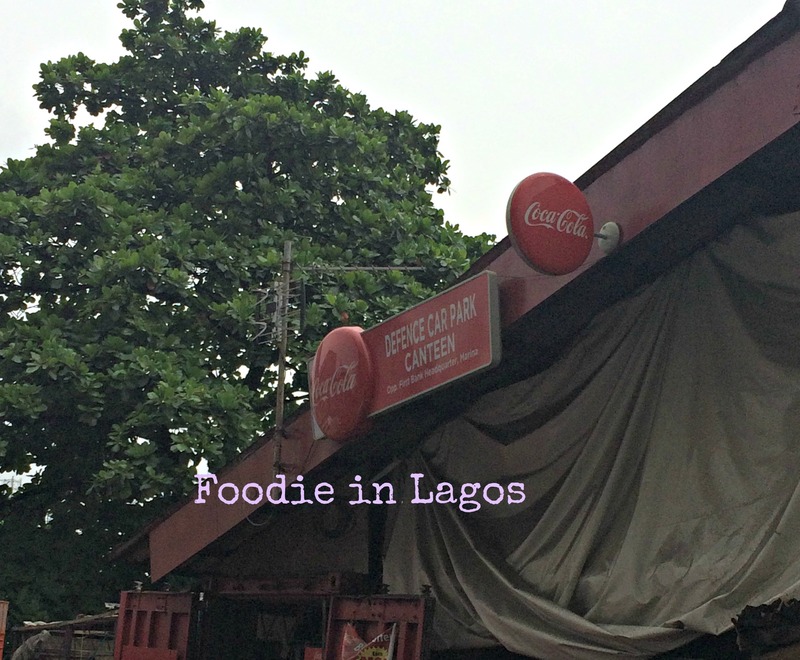 There is Eniafe Canteen along Old Yaba road by Makoko junction. Good place to be runs only on week days. Am yet to change my mind on them, Best Amala joint in gidi.